Are you all shopped out yet? We're winding down from the holidays and starting to get back into the swing of things. As much as I wish I could take a break from shopping right now, there are still things we need. My son's sneakers are falling apart and it's time to get a new pair of school shoes. This Reebok 30% Off Clearance Sale is really good! Reebok’s year-End Clearance Event is here! 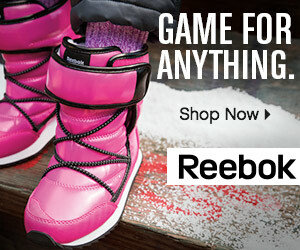 Starting today and running through January 2nd, save 30% on shop.reebok.com’s sale collection. That’s right, over 300 products with already reduced prices now available at an additional 30% off! Men’s and women’s apparel, as well as kids styles are included in this limited time offer. Reebok CrossFit styles are excluded.